Oh yeah, you looked at this one too! 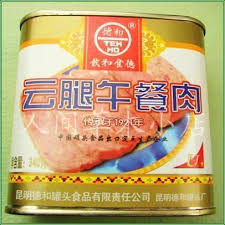 Chinese Spam? Does that consist of Catfish parts? Catfish=hog of the water,not chicken of the sea. Despite all the negativity and supposed disgust almost no one on this forum can resist SPAM! Just admit it- you love it!